New OEM CN900 V2.28.3.63 auto transponder chip key copy machine,Using 3.6-inch TFT LCD display, touch screen operation.CN900 key copy machine supports directly copy 4C and 4D chips. OEM CN900 can copy such as Toyota 4d67, two months later, it will be able to copy ID46 and Toyota G chip;CN chips can be copied many times. 1. Can copy 4C and 4D. 2) New identify functions for Toyota chip key (year: 2010) (Chip: 4D-72). How to Connect CN900 4D Decoder with CN900 ? Q: When i use CN900 and CN900 4D Decoder (SK103) to do copy 4 d chip, it appears no transponder found error, could you tell me how to solve it?? A: As confirmed with our tech, oem cn900 can do copy electronic chip and ceramic chip. 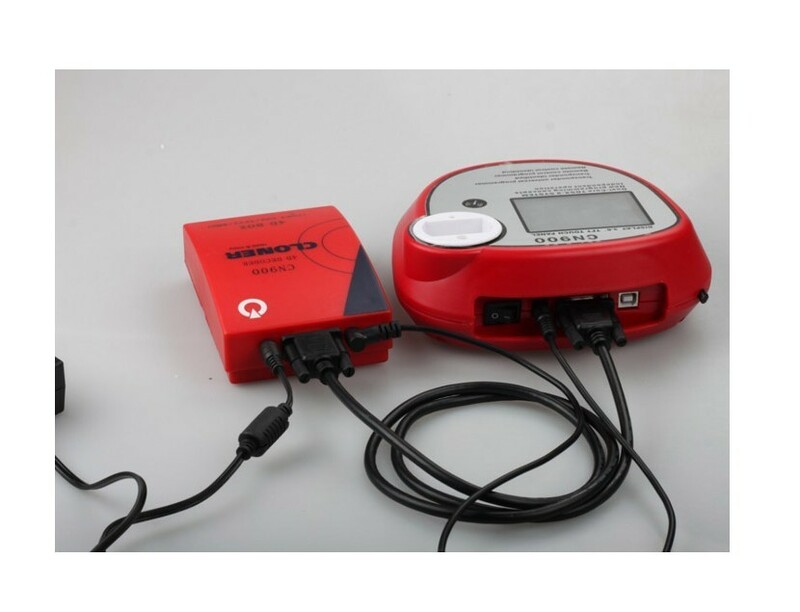 Q: Can ID46 Decoder Box ID 46 Copy Box ND900 Key Programmer work with CN900 ? A: Sorry, it is working for nd900, but not cn900. Q: Can OEM CN900 do Toyota 4 g Chip? A: Sorry, it can't do G chip. A: As confirmed with our techm we regret it can not do copy glass chip.